GoToMeetings™ – Affordable web-based meetings for facilitators. 30-day free trial and 4 free meeting templates from Leadership Strategies. 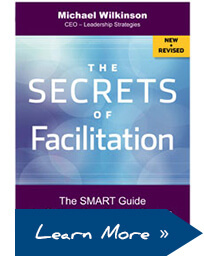 The International Institute for Facilitation – Become a Certified Master Facilitator! 1Time – PC Shareware timer that counts up and counts down. Boston Facilitators’ Roundtable – Facilitators in the New England area promoting and improving group facilitation. Mid-Atlantic Facilitators Network – A professional network supporting the education, development, business and promotional needs of our facilitators in the U.S. Mid-Atlantic Region. Midwest Facilitators’ Network – A professional support association for people who facilitate, providing members with opportunities for learning, skills development, networking, employment, contracting and volunteering. Southeast Association of Facilitators – A professional network of facilitators that meet bi-monthly with top speakers and interaction sessions. Annual conference in the fall of each year. The Facilitation Network Singapore – The Facilitators Network Singapore collaborates with partners and international organizations to advocate and raise the professionalism of facilitators in Singapore and the region.